Can you tell us a bit about yourself and what you are doing currently? I am a 40 years old guy from France. When I was a teenager I studied in the USA as an exchange student. I came back pretty fluent in English, which gave me the opportunity to work as a tour guide in Paris. I used to save money only to travel. Then I started volunteering in different countries. I have been in Hong Kong for 4 years. This is where I met my wife. Before that I spent 5 years in Mainland China as an English teacher. I don't really have a full time job right now, but I do a few different things such as taking care of my 2 years old daughter, and co-managing a wine bar that hosts private parties, and sells European products like cheese, ham, chocolate, and other craft delicacies... I am happy to say that since I discover HandsOn, volunteering has taken a much bigger place in my life. I have met wonderful people, and I started to feel useful for my community. What drives you to serve the community? I guess this is something I got from my mother who always cared about others, especially the less fortunate. She never hesitated to help when she could. I feel that she led me by example. When I met my wife, one of our first conversation was about serving the community. This helped us realized the common points we had. She is very supportive with my volunteering engagement. I'm lucky that she has a good job and works really hard for our family. She would love to volunteer with me, but she is too busy. Like many Hong Kong people she has more money than time, so she will usually give donations. My case is the opposite : I have much more time than money ! We like to say that I volunteer for her, and she works hard for me. So when I am in a mission, I feel that a part of her is also with me. What do you believe is the impact of your volunteer work? Well, it's hard for me to tell the impact of "my" volunteer work. However, I definitely believe in the impact of OUR volunteer work. The power of a team is fantastic. Just think about a beach that you have to clean by yourself after a typhoon...and suddenly one hundred people come to help you. If each individual do their little part, it can make a big change. With unprivileged people, I find it amazing how just a smile or some nice words can make a huge difference. What advice would you have for someone looking to begin their volunteer journey? I believe it's all about little things. I used to dream of unrealistic big goals, and (because it was too big) I was always delaying to the future. Then I decided to become more humble, and I put two words in my mind: small, now. Joining a team of volunteers where everyone is doing something small and now, makes all those small things become a huge meaningful mission that leads to a positive change. 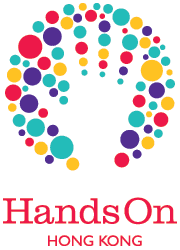 Can you share an interesting story or touching moment you have had while volunteering with HandsOn? There are so many ! The choice is hard. Well, here's one: since last spring I started joining regularly the kindness walk with ImpackHK. In September, I became a walk leader every Monday in Tai Kok Tsui. As it was a new walk, the homelesses and street workers that we served were first a little surprised to see us arrive with our big smiles and our bags of bananas, boiled eggs, toiletries... 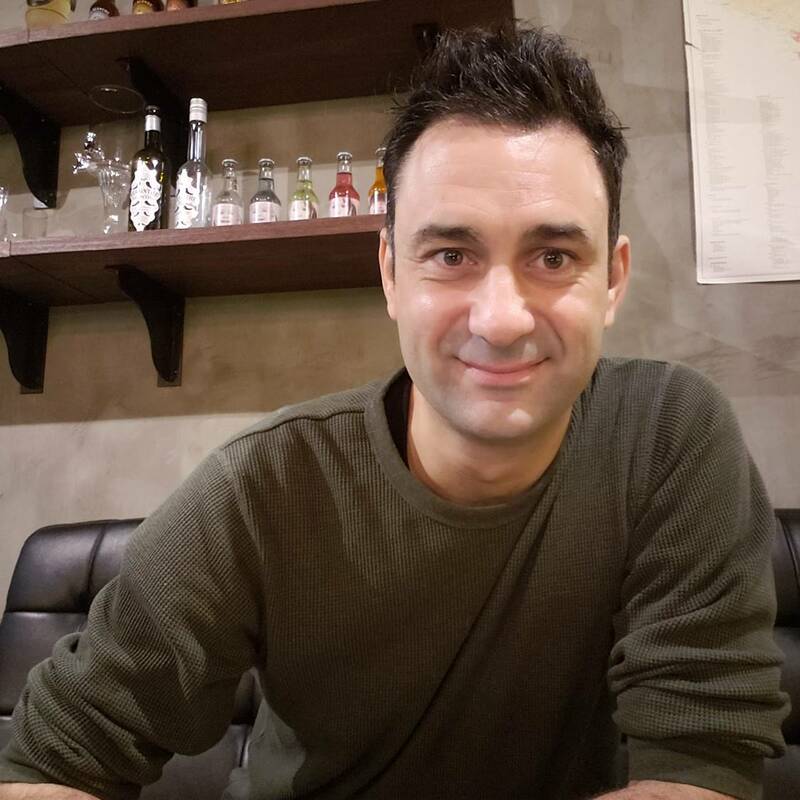 Some of them even seemed a bit awkward and suspicious, but I tried to follow the example of ImpactHK's founder Jeff, who never quit on giving kindness with always a fearless devotion. As he predicted, it only needed a bit of time to build trust with them. And after a few weeks, I was delighted to notice that everytime they saw us arrive from far, they smiled. As soon as they recognized one of us, their face changed and they suddenly looked happy. It became obvious to me that what made them feel so warm wasn't the blanket or the soup we gave them, the bananas or the eggs; off course those are very useful gifts, but what really gave them joy was to see that we care, that they are not forgotten; that we think of them and we don't get tired of visiting them to show kindness. After a while, some of them become community helpers at the Guestroom. And they are now the ones who prepare the gifts that they used to receive when they were sleeping under a bridge. This gives me a wonderful feeling of hope. Another meaningful experience was for me to invite some special needs teenagers in my shop : The Greedy Loft. I offered to teach them some skills about food & beverage in order to help them finding more job opportunities in the future. Those kids were awesome ! Good-heart, positive attititude, willing to learn. What made me feel really good about it is that I have no doubt they can make it, find a job they like, being great employees, and making their difference a strength. Once again, HandsOn did a fantastic job connecting people who care. I am so grateful sharing this project with the Nesbitt Center, Po Leung Kuk Anita L.L. Chan (Centenary) School, abd SENsational Consultancy. We decided to do a regular thing. Can't wait the next class !